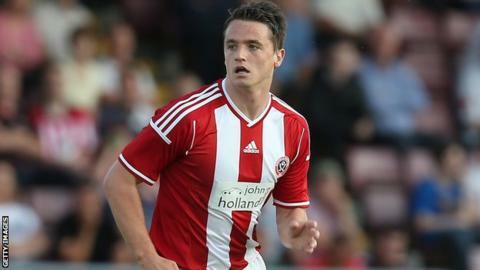 Dundee have signed midfielder Stephen McGinn on loan from Sheffield United for the remainder of the season. The 26-year-old former St Mirren and Watford player will join his brother Paul at Dens Park. McGinn moved to Sheffield United in the summer of 2013 after three years with the Hornets and was a regular last season. However, the former Scotland U21 international has only featured in four cup games for the Blades this term. "I'm very happy to have Stephen at the club," said manager Paul Hartley. "He will give us something different and he's a player I've been impressed with every time I have seen him play."